You can’t get much more authentically Australian than a mug of billy tea. 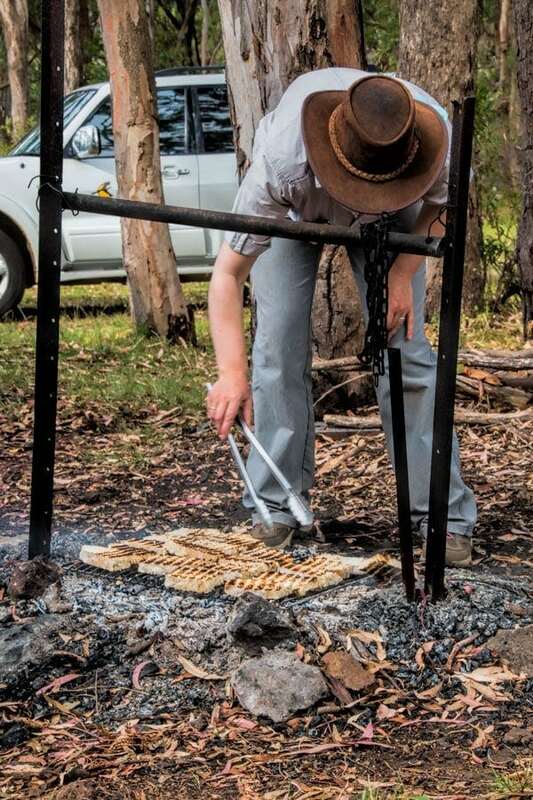 Enjoyed by the early settlers to Australia, a staple of bushmen and women across the country and a highly anticipated part of any camping trip. It’s a good strong brew, simple and authentic. Our first billy tea experience was on holiday many years before we moved to Australia. We’d been horse riding on a farm in the Canungra Valley on the Gold Coast and stopped by a stream for our guide to brew a pot billy tea. I’m not sure if it was the fresh air and exercise or having missed my morning caffeine hit but that was one of the best cuppas ever! 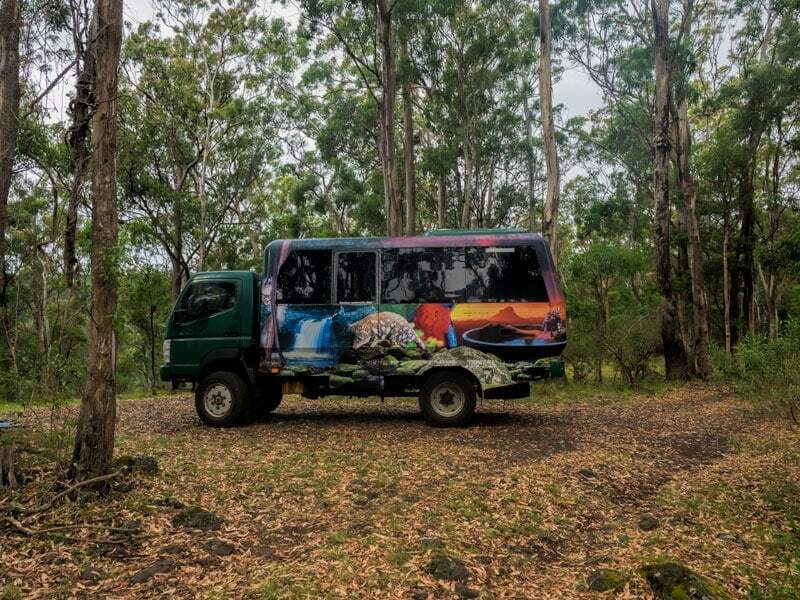 Last weekend we headed out through Canungra again and up into the Lamington National Park where we’d been invited along to the Billy Tea History Tour at O’Reillys Rainforest Retreat. This little pocket of land once farmed by three O’Reilly brothers is right in the middle of the National Park. While it is a private resort with a variety of accommodation and event facilities they also welcome day-trippers. There’s no charge for visitors to walk the tracks around O’Reillys, picnic on the grounds and spend the day enjoying the wildlife and natural surrounds. Several of the tracks including the the treetop walk are short and easy walking for the whole family. 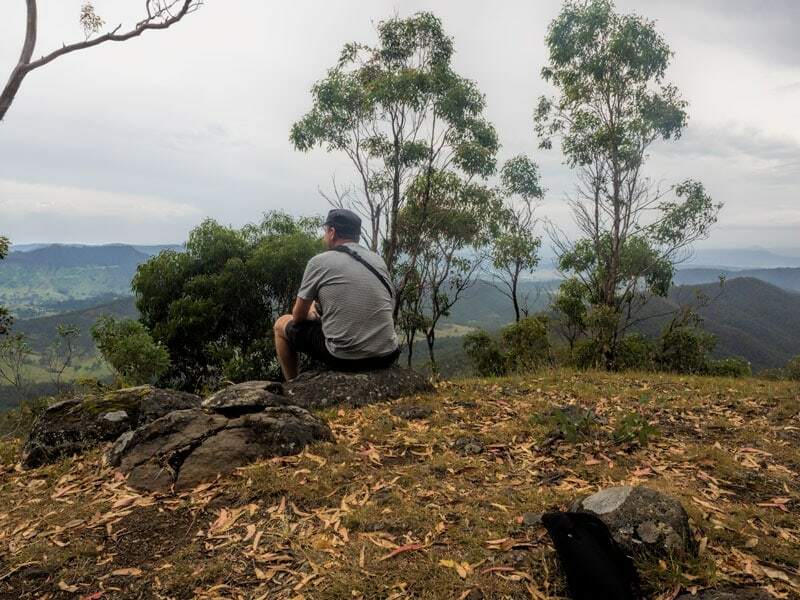 The retreat also co-ordinate a range of guided walk and tour options that both overnight guests and day trippers can join for a fee, these including the afternoon billy tea tour. Did someone say tea, I’m there! What exactly is Billy Tea and where did the term come from? When Australians refer to Billy Tea it’s about how it’s brewed not a brand or even blend of tea, although it should always be a loose leaf black tea. There’s also a bit of an expection, not always realised, that when someone asks if you want billy tea that you will also get a hunk of fresh damper to enjoy with it. Let me explain. The term billy tea refers to the way it’s prepared in a billy can over an open fire. 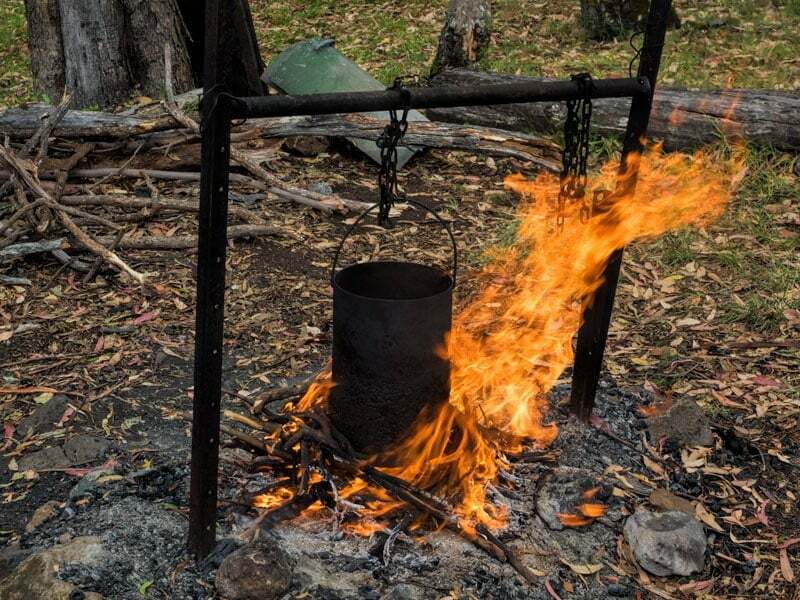 The origin of the term billy is widely debated, while academics may tell you something about the origins of the ancient word ‘to boil’, a true blue Aussie will tell you that the settlers weren’t prone to waste and the large tins left over from bully beef (corned beef) were cleaned and reused over the fire for cooking. Hence making tea in the bully (billy) can. Once the fire has been built up well the tin is secured in place over the fire to boil. Then a handful of loose tea is thrown in, a second handful for the pot and a few eucalypus leaves for flavour. Simmer for 10 minutes then remove from the fire. Traditionally at this stage the burly swagman would swing it three times in a wide circle to the side of their body before letting it sit for a couple more minutes. The swinging is to force the tea leaves to the bottom of the pot. Then everyone scoops out a mug full to drink. By this time the fire should have burned to down to coals and it’s time to cook your damper, a very simple form of unleaven bread. 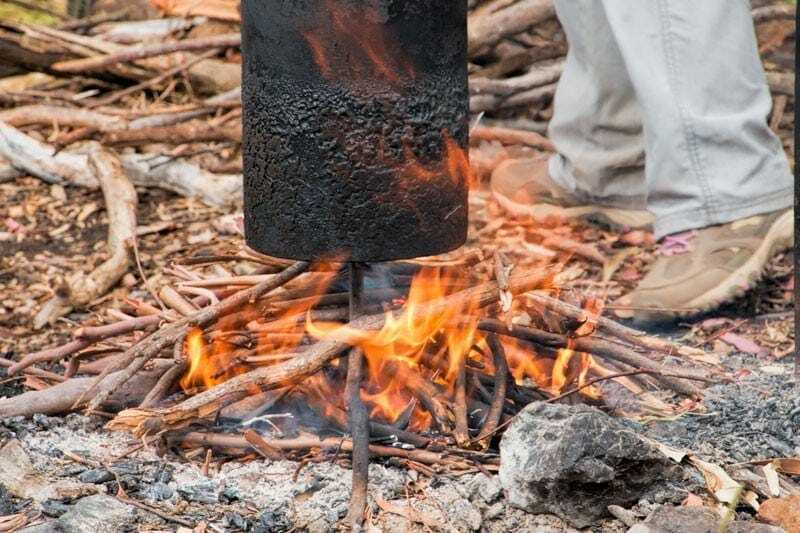 The term damper comes from having to damp down the fire before you can start to cook it. The track out to Lukes Bluff Lookout where we headed for afternoon tea passes through farm land. This is a serious four wheel drive track and fortunately they have just the vehicle to get you down there in one piece together with all the gear. 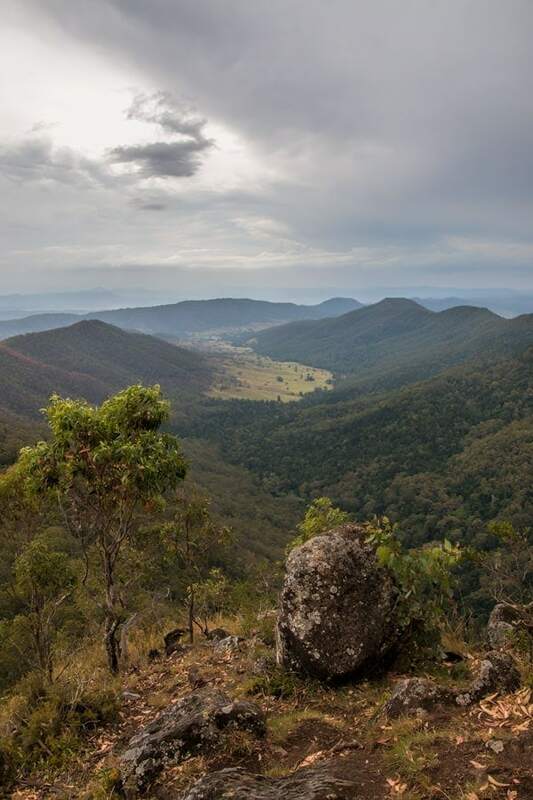 When you arrive there’s time for a look around at the stunning views out over the Scenic Rim. Cat our guide was able to give us an orientation on what we were looking at and point out the demarkation between the eucalypt forest on the farmed side of the valley verses the original rainforest on the other. Living in Queensland and spending a lot of time in the bush and hiking I’m very aware of the fire danger in the gum forest and have seen how fast and hot even a controlled burn spreads. 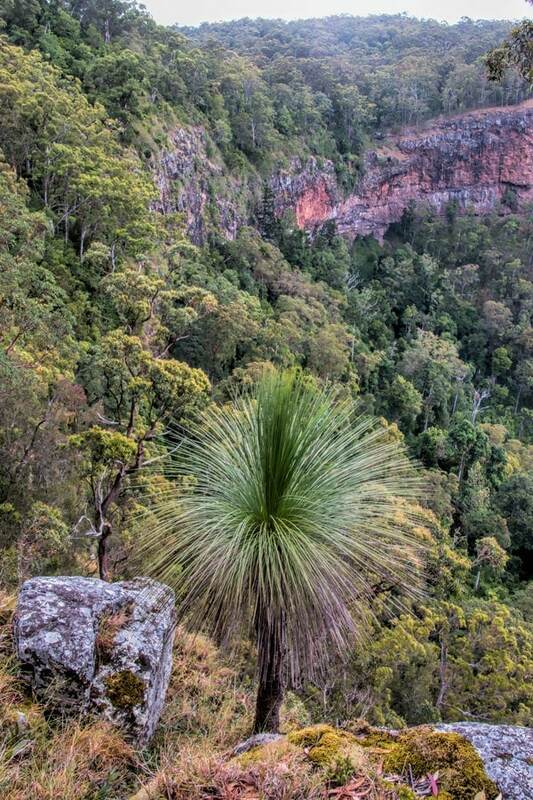 Although tragic when out of control it’s also a natural part of the regerneration cycle in this type of bushland. What I learned at O’Reillys this trip is that a true rainforest doesn’t burn. 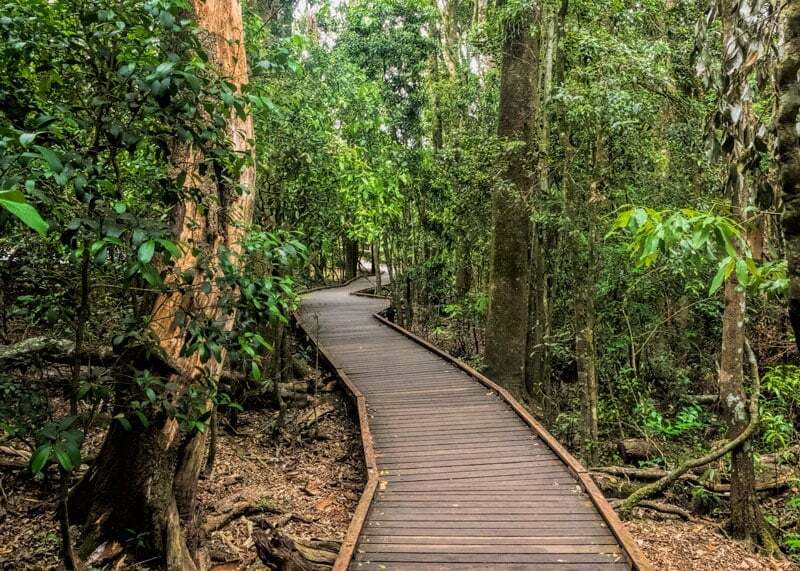 Even when struck by lightning which is the primary cause of bush fires (if you exclude humans), a rainforest tree is so saturated that it explodes without burning. It’s especially interesting as it ties into a very famous part of the history of the area and was key to Bernard O’Reilly, one of the brothers who originally farmed the land, finding the survivors of the Stinson plane crash in 1937. It all came down to one badly burned tree that Bernard knew must have been caused by the burning plane and not a lightning stike in the dense rainforest. Then it’s time to gather round the fireplace while the billy tea is made. I mentioned before that billy tea isn’t a particular type of tea, the settlers had what was available, at that stage it would have been Indian tea shipped via Britain as it wasn’t grown locally back then. There is now however a tea branded as Billy Tea that is blended in Australia and makes a pretty decent cuppa either over the fire or with the kettle. While it’s not grown here it’s an Indian tea blend that is most likely very similar to the original. Use what you have available, just please don’t use a tea bag! There are a few traditional parts of the process that health and safety don’t allow any more. One is apparantly there are people who are allergic to gum leaves so they can’t be added to the pot which is a bit obscure and secondly they worked out that swinging a pot of boiling water around your head and your guests should also now be considered an unsafe practice. 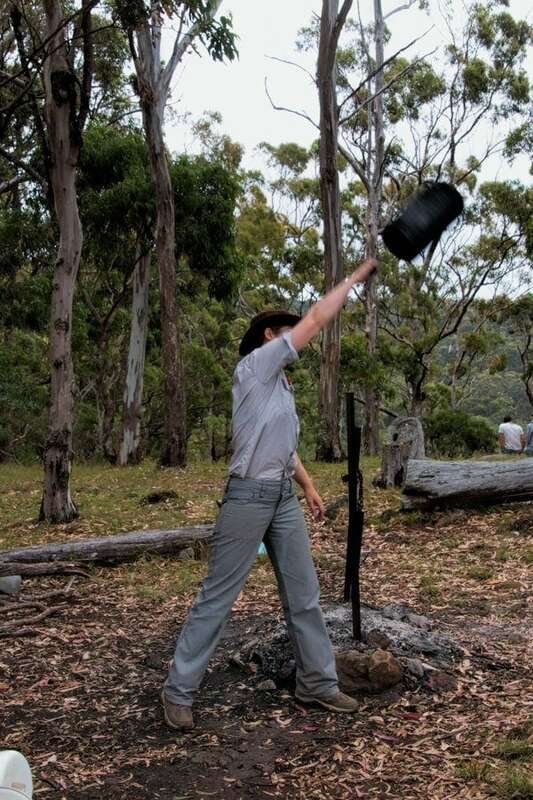 Never the less we did convince our guide to swing the empty pot just to demonstrate how it’s done. It was definitely a different way to spend an afternoon and a lot of fun. I’m always pleased to add a new tea lovers experience to my list, while billy tea in the Aussie bush was the polar opposite of drinking matcha prepared by a Geisha in Kyoto, Japan, I thoroughly enjoyed both and I’m now looking for new cultural tea experiences. What can you recommend? We didn’t go to school here either so missed those school camp experiences but are loving learning about Australian bush and wildlife now. Billy Tea….sounds like something you need to try. This place looks amazing. You got some wonderful landscape shots there. The place looks beautiful and I bet the tea was good. Everything tastes better over a campfire for some reason. Reminds me of sock coffee we made in the military. A big pot of boiling water and you take a sock, preferably clean, fill it with coffee grounds, tie off the end and throw it in the water. Wait a few minutes and you have hot coffee. This is so cool and definitely not something I knew about. Maybe they need to add this into Boy’s Scout survival courses. I liked how the O’Riley’s aren’t money minded – as often places are – and allow day-trippers on their property to explore nature and just be. Thanks for the information and if I had my choice, I think origin was probably from cooking in the beef can rather than the “to boil”option. They should I’m pretty sure they would do the damper part at least. The scouts would love it although I bet they’d be way more engaged with swinging the pot around their heads than sipping on the cuppa tea. Very interesting! I had never heard of billy tea. Funny how a cup of tea gives insight into culture and history. Brewing it out in the open brings back a little of this historical essence, too. This sounds like a great tour and a true bit of Aussie tradition. I’m not really a fan of hot drinks but I think I’d have to give Billy Tea a try. Would be Australian not to I think! This is a tour I would love to do. First you get to ride horses, then you get to see outrageously beautiful scenery then end up with a hot cup of Billy Tea. Even though I have never heard of Billy Tea before it sounds like a very nice experience. This looks like an amazing experience! Australia seems great for camping, this makes it sound even more cosy! I love the pictures by the way!